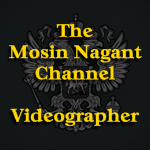 I've been collecting new videos and old movies for The Mosin Nagant Channel on Roku. Just uploaded a WWII Documentary called The Battle of Russia, it's a 2 part series with an entire history of the Russian people. It's also has many scenes of battle footage and many Mosin Nagant rifle in those scenes. Also another movie is called the Battleship Potemkin, you'll see many Mosin Nagant rifles in that movie as well. Tim over at the Military Arms Channel on You Tube was kind enough to allow me to use his PE Sniper rifle review video. I have many more to upload and so if your a Roku owner subscribe to the channel. That's great Mark! Eastern Front movies are hard to come by if you aren't looking. 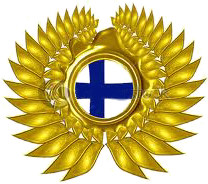 I think one good thing to come out of Enemy at the Gates is an awareness of the war in Russia. Looking forward to seeing those flicks! 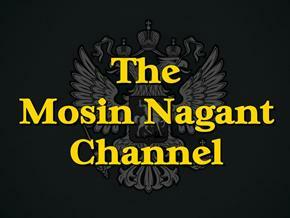 The Roku Mosin Nagant channel is how I found this site too. Watched a few episodes and now I own a 91/30 I usually build Mausers so this should be a fun build, I'll put together some video from start to finish with range time on the finished project. Bob the nailer wrote: The Roku Mosin Nagant channel is how I found this site too. Watched a few episodes and now I own a 91/30 I usually build Mausers so this should be a fun build, I'll put together some video from start to finish with range time on the finished project. Yes please!! We love pictures and videos around here!! Yep please do, I'm always looking for good content. Been working on a few projects that may help in long range shooting production. Having a few issues with batteries life and transmitter design. Bob what do you think of the channel? I like the channel and have watched several episodes. Quite a variety of rifle builds, would like to see some reviews on triggers/action tuning/receiver preference/ect. You are doing a great job with the show, it made me buy a mosin (I never would have otherwise). I'll look into the safety/trigger set up. Mark i have a video on my youtube chane about receover selection for heavy barrels. You may use it.